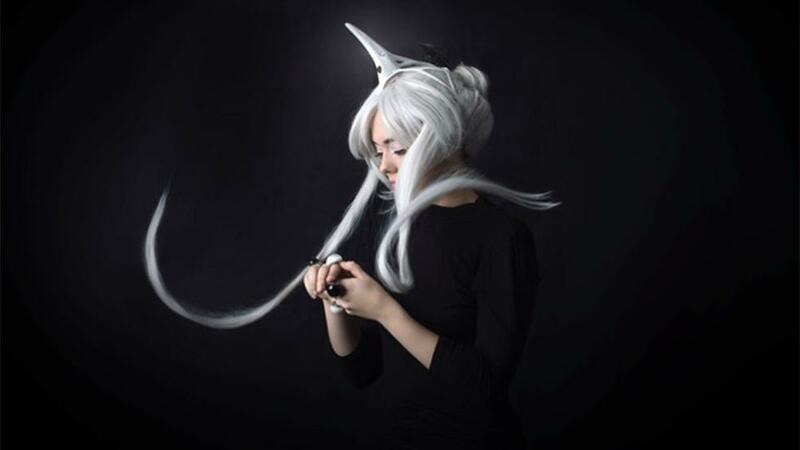 Tech fashion designer Anouk Wipprecht teamed with researchers at Ars Electronica to create a bio-sensing unicorn wearable headset for children with ADHD. Billed as the region’s first multi-sensory festival where art, design and technology intersect to provide a platform for minds to connect and collaborate, ECHO will take place from December 14 to 16 in Dubai Design District (d3). Revolving around the theme ‘Interacting with the future’, the festival will include an exhibition showcasing immersive installations, a conference to exchange knowledge and generate new ideas within the industry; workshops across a range of artistic and creative disciplines hosted by international experts; and a sound festival that combines leading musical talent with audio-visual technology. Some of the major personalities to look out for include Dutch-based hi-tech fashion designer and innovator Anouk Wipprecht, who recently launched her latest project – a collaboration with multi-media performance artist and amputee Viktoria Modesta – called ‘Sonifica’ where she merged art, technology and architecture to create 3D printed interactive sonic wearables, including a sonic bustier and sonified prosthetic leg. Apart from Rebeccah Pailes, one of the key speakers will be Dr. Koert van Mensvoort best known for his work on the philosophical concept of Next Nature, which revolves around the idea that our technological environment has become so complex, omnipresent and autonomous that it is best perceived as a nature of its own.